Tickets for our school matinees are available at the special discounted rate of $5! To check availability or to purchase tickets, please contact Education Manager Naomi Campion at [email protected] or call 612-540-5371. Stay tuned for upcoming School Matinees. 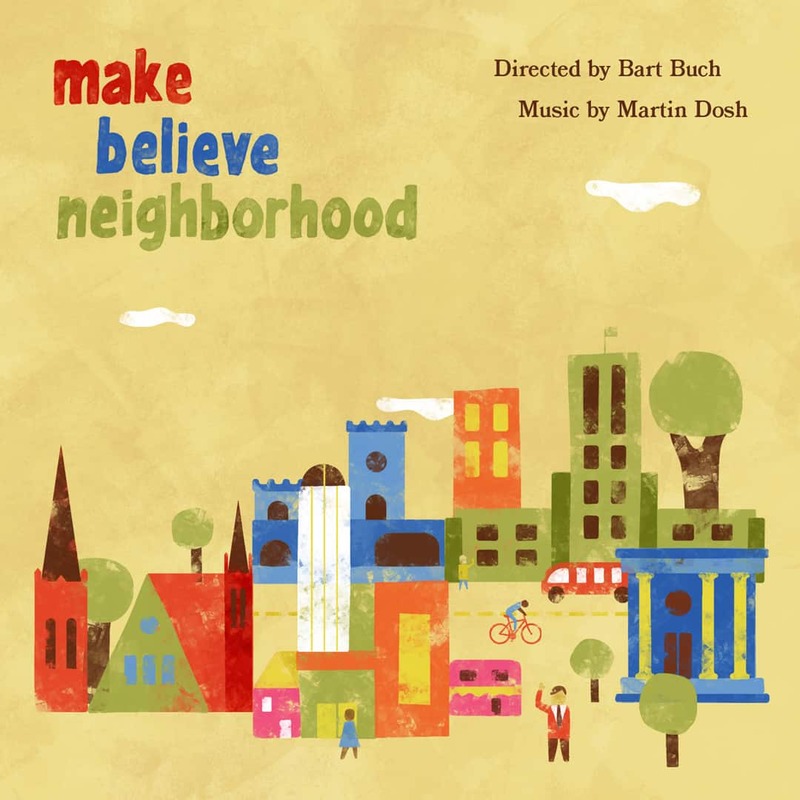 Make Believe Neighborhood honors the life and legacy of Fred Rogers and celebrates the ordinary people who do extra-ordinary work to make our own neighborhood a brighter, healthier, friendlier place. 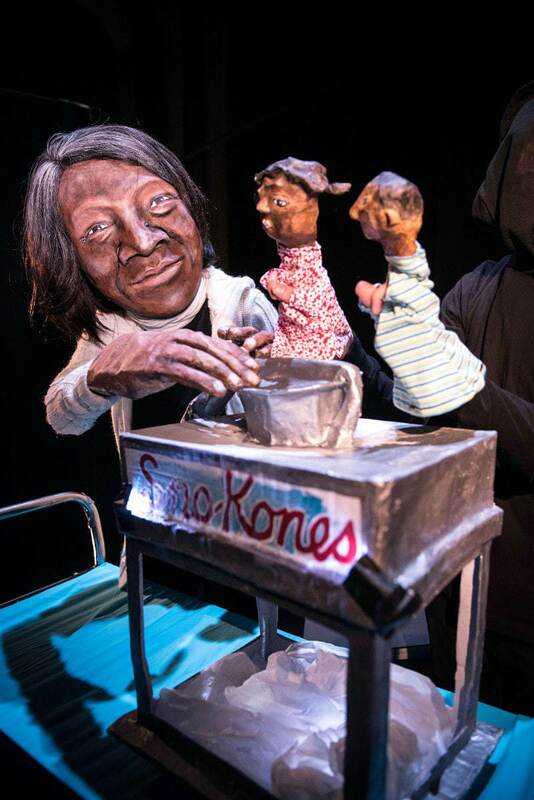 Director Bart Buch combines puppets, music, and visual imagery to tell the story of Neighborhood Helpers in our own South Minneapolis communities – people who hold up the light through helping other people and communities believe in themselves, making better lives and neighborhoods. Join In the Heart of the Beast Puppet and Mask Theatre as we commemorate the 50th anniversary of Mr. Rogers Neighborhood and shine a light on some of our wonderful neighbors. Directed by Bart Buch. Musical Direction by Martin Dosh. Featuring artistic collaborators and performers Seth Eberle, Masanari Kawahara, Angela Olson, and Laurie Witzkowski. Image by Tim Cronin-Hnilicka. Suggested ages: Kindergarten through college. While everything about this show is suitable for young children, the Mr. Rogers content focuses more on Fred’s biography than on the TV show. This show is designed for all ages of learning. When: Thursdays throughout February 2018, curtain at 10am (pending availability). Performance length: 120 minutes plus intermission. Post-show discussion: We will provide a brief (10-15 minutes) post-show discussion from 12-12:15pm with our artists. This event is made possible in part by an award from the National Endowment for the Arts.